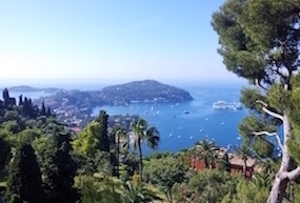 Experience the beauty of the French Riviera with the selection our best sightseeing tours. Discover the beauty the most famous places and cities such as Cannes, Nice, Monaco, St Tropez with multilingual guides onboard of a luxury mini-bus with air conditioning. Chose between a selection of proposed tours or ask for any tailor-made tour "a la carte". Life the most exceptional French Riviera experience with Prime Golf Academy. Price per hour : 90 € / hour with a minimum of 3 hours booked. Half day from 9:00 to 13:00 or from 14:00 to 18:00. On the way to Monaco, visit Eze to discover this medieval village overlooking the French Riviera and take the opportunity to visit the perfume factory Fragonard. 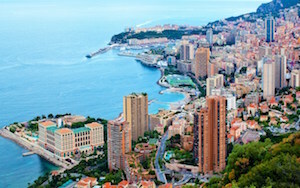 Driving through the village ‘La Turbie’, reach the luxurious principality of Monaco with the Prince’s Place, the Cathedral,the Monte-Carlo Casino, the gardens and the Grand Prix circuit. Following the coast road, drive to the old Antibes, the incredible harbour and its ramparts. Reach Cannes driving by the Croisette boulevard to the film festival Palace and feel like a star walking up the world known steps. Enjoy the typical medieval village of Saint Paul de Vence made famous by actors and artists living here. Its cobbled stone street, many galleries and nice view overlooking the sea make it a unique place. 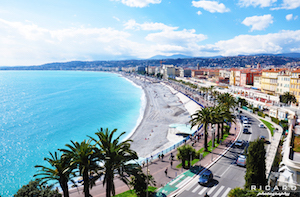 Discover Nice and it’s history while driving through the promenade des Anglais, reach the Castle hill to admire the fantastic view and walk to the waterfalls and its gardens. Visit different charming districts of the town : Cimiez, the Russian Orthodox Church, Massena square and the Regina Palace. Get in the old town, the heart of Nice, and enjoy its flower market. On the way to Monaco , enjoy the panoramic drive along the cost aver Nice, Villefranche and Monaco. Stop in Eze to visit this amazing medieval village and Fragonar perfume factory. In Monaco, discover the casino of Monte Carlo on the golden square with luxury shops and cars. During your free time,visit the old town and its oceanographic museum, the Prince’s Palace and the Cathedral. Following the cost road, drive to Antibes with its incredible harbor and its ramparts. Stop in Cannes, drive by Croisette boulevard to the film festival palace. Join the typical medieval village of St Paul de Vence made famous by artists living there and visit its numerous art galleries. Upon you arrival in Monaco, stop in Eze to discover this medieval village overlooking the French Riviera and take the opportunity to visit the perfume factory Fragonar. Driving through the village ‘La Turbie’, reach the luxurious principality of Monaco with its Prince’s Palace, Monte Carlo Casino and the Grand Prix circuit. On the way to Saint Tropez, visit the port Grimaud, also called the little Venice with it’s tiny bridges and canals. Reach Saint Tropez and fall under the charm of this world known town, its beaches and the port. Enjoy the atmosphere of the provincial market on Tuesday and take your time to chose among the local restaurants.